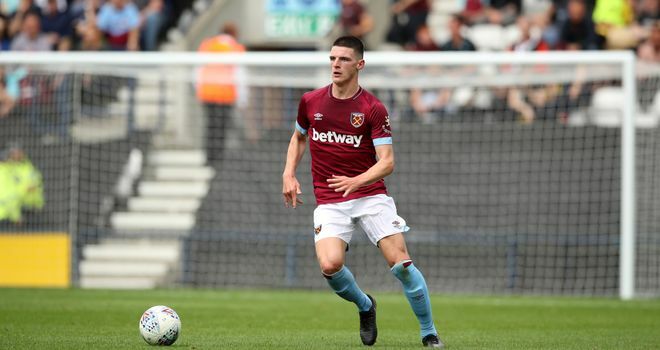 Declan Rice seized his opportunity against Everton, and with Jack Wilshere out for up to six weeks, the versatile 19-year-old has a chance to stamp his authority in the West Ham side, writes Michael Hincks. After four Premier League matches without a win, something had to change for West Ham, with Manuel Pellegrini's position as manager - some four months after taking charge - already coming under scrutiny. Pellegrini tinkered somewhat from game to game during those four defeats, but last Sunday's clash at Everton saw a major overhaul. Six changes from the side that lost at home to Wolves, with a switch in formation from 4-2-3-1 to 4-1-4-1 to boot. The new formula worked for Pellegrini, as his side delivered him a much-needed three points on his 65th birthday. It would be foolish to label it the winning formula, particularly with Chelsea to come this Super Sunday, but there were plenty of positives for the Chilean to draw upon. Marko Arnautovic's link-up play was one, so too the effectiveness of Andriy Yarmolenko and Felipe Anderson on the counter, but it was Declan Rice's performance in the anchor of midfield which both impressed and surprised - particularly as he had not featured since enduring a difficult first 45 minutes of West Ham's Premier League opener at Liverpool before being hauled off. Yarmolenko may have been awarded man of the match against Everton by the club's fans on Twitter, but Rice was not far behind, finishing second in the poll ahead of Arnautovic, who had the backing of the Sky Sports commentary team. Rice was quietly influential at Goodison Park. The 19-year-old made more tackles (five) and regained possession more times (11) than his team-mates, while his distribution outlined his discipline, with 21 of his 40 passes coming in the opponent's half. It was an assured performance from a player who also offers great versatility. "It's good that I can play in two positions, as a centre-back or as a holding midfielder, as I just want to get minutes and get games," he told West Ham's Twitter account. "Like you saw in the second half, I can take control of a game and start passing it left and right and help out with the defensive bits [too]." The confidence is evident in Rice. 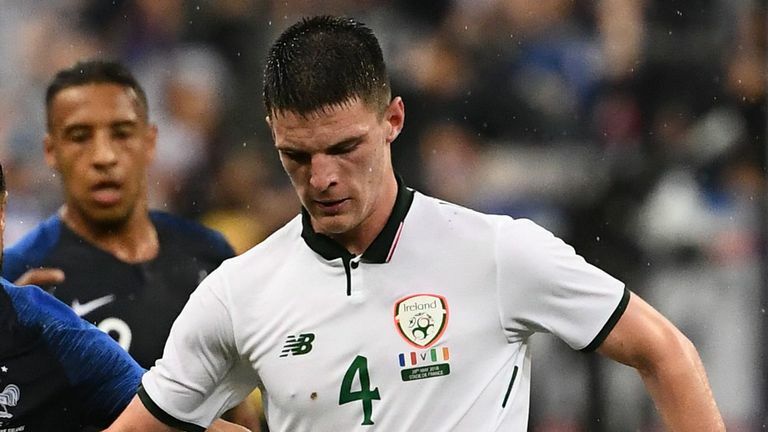 He was recently omitted from the Republic of Ireland's squad as he considers a switch of allegiance to England. And though he is yet to make a final decision, the fact he wants to mull over his international future shows there is a belief that he can be influential for either country. Southgate has not given London-born Rice any assurances, saying it would be "unethical" to do so, while Republic boss Martin O'Neill has deemed it best to give the player some breathing space. It is a contentious and sensitive issue, but one, it seems, he will not be rushed on. Whether he dons green or white in the future remains to be seen, but while he ponders his allegiance, it appears he will have an extended spell in the West Ham team after Jack Wilshere was ruled out for six weeks. Wilshere has been open about his desire to return to the England fold, but the midfielder faces the unfortunately familiar sight of the physio room first before he can switch his focus back to impressing Pellegrini and Southgate alike. The next six weeks could have a significant bearing on both Wilshere and Rice when it comes to club and country, and all the former can do is sit back and watch how the latter fares. For Rice, it's table-toppers Chelsea next at the London Stadium. West Ham won this fixture 1-0 against Antonio Conte's men last December, but it is a different Sarri-ball game this time around. 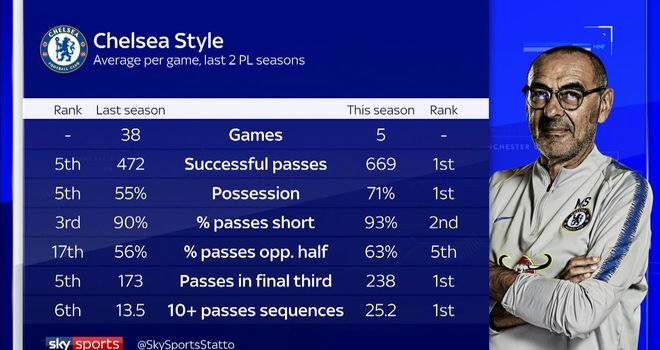 West Ham had less of the ball against Everton on Sunday (56%-44%), and with Chelsea averaging 71% possession in their five league games to date, the Hammers will find themselves starved of opportunities against Sarri's side. West Ham need repeat performances all around the pitch this weekend. 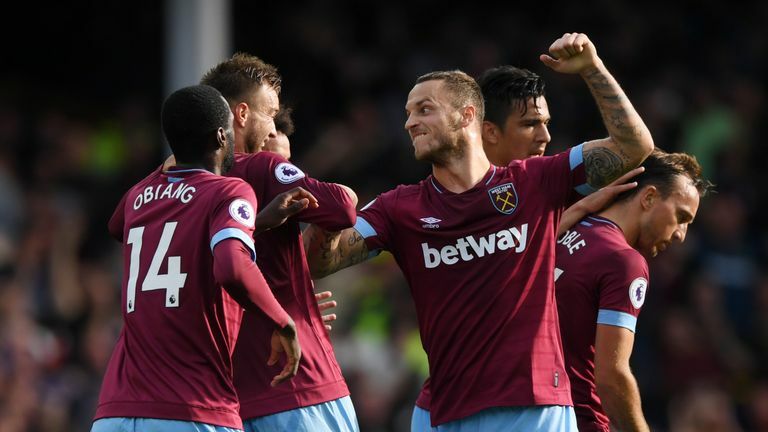 Arnautovic - if fit - must pose a threat once more up front, Yarmolenko and Anderson must prove as clinical and precise as they were at Everton, while Rice must put in an equally as disciplined performance if they are to win their first home game of the season. It is a tall task, but one Rice appears ready to take on. This time, the spotlight will be on the youngster - let's see if it will be the teenager that does the shining.